You don’t get a lot of property related lawsuits (or do you) when you are in the business of sending rovers and satellites onto distant planets, but this happened to NASA 18 years ago. It was back in 1997 when three guys from Yemen decided to file a lawsuit to the country’s prosecutor general in Sana’a. The case was not about intellectual property; they claimed they owned Mars! They were suing NASA for trespassing. “We inherited the planet from our ancestors 3,000 years ago,” they told the weekly Arabic-language newspaper Al-Thawri. Adam Ismail, Mustafa Khalil, and Abdullah al-Umari based their claims on family history, supposing that they are descended from the Himyarites and Sabaeans, ethnic groups who lived in southern Arabia. According to their mythologies, these long-lost civilizations had seven temples on each of the planets in the solar system. As stated in a local newspaper, the trio presented “legal” documents that support their claim. Nobody except the prosecutor saw these documents, and after throwing out the case, he described this group of people as “abnormal,” warning them with jail time if they try to sue again. It makes you wonder what a document for owning a planet looks like!? The events that prompted this were NASA’s exploratory Pathfinder and Sojourner missions. 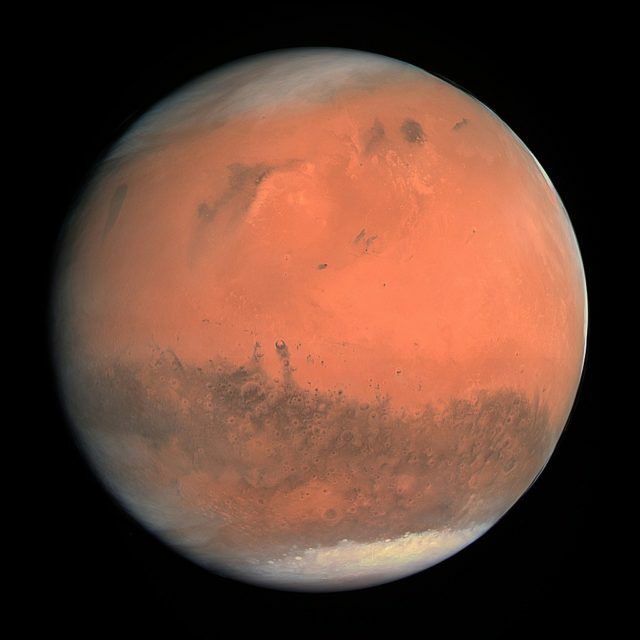 They demanded that the current exploration of Mars is stopped and any further Mars research should go through them. The men also explained that they were only seeking their right now because of the anniversary of several of their ancient cities’ foundations, and the desire to raise money to refurbish them. Apparently, this is not the only case of extraterrestrial estate claims: There was a guy (Sylvio Langevin) who declared he owns all of the planets in the solar system. And another guy who tried to own the moon; Dennis Hope, claimed ownership of the moon back in the 1980s and, according to him, he has sold over 2 million acres of land on the moon at $20 per acre. There was also the “Nation of Celestial Space” which claimed to own everything in space, and Gregory Nemitz who laid claim to an asteroid. Interestingly enough, the story about the Yemen trio didn’t end with their lawsuit rejected. The next year they started selling pieces of the Red Planet for $2 per square meter. A really nice bargain! They also assured buyers that they would issue a deed of ownership for their new property. Owning a piece of extraterrestrial property may sound like a nice idea, but in reality, it is not really possible. Back in 1967, the United Nations issued the Outer Space Treaty (and Yemen signed it!) which holds that no country can claim ownership over extraterrestrial territory. All of these cases may sound like a big scam now, but we are moving fast into the future, already planning to colonize Mars, mine asteroids and build moon bases. Things could change. The outer space treaty is not signed by every country and making new treaties that allow people to own something they don’t is not so difficult. However, it is safe to say that NASA won’t have any bigger problems with the Yemen Martians in the close future.